Jamila is an International Aquisitions and Children’s Media Consultant who previously headed up Sony Networks’ portfolio of kids channels at Sony Pictures Entertainment. 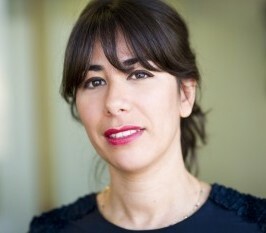 Overseeing scheduling, strategy and programme acquisitions, Jamila was responsible for all three UK channels, as well as Pop Africa and the recently launched Pop Italy. Previously channel head at CITV, Jamila was part of the team that launched the CITV channel in March 2006. During her time there she was instrumental in bringing big brands to the channel that continue to be the backbone of CITV today, including the LEGO franchise, ‘Mr Bean: The Animated Series’, and ‘Horrid Henry’, and was responsible for negotiating the successful partnership between CITV and Warner Bros/Turner Broadcasting. Her commissions while at CITV include, among many, the first ever kids version of ‘Fort Boyard’, ‘Thunderbirds Are Go!’, ‘Robozuna’, ‘Scrambled’ and ‘Bear Grylls Survival School’. Jamila began her career in distribution, holding roles at Portman Film and TV and Fireworks International.